attend all day, morning, or afternoon. For morning activities: CHOOSE ONE and SHOW UP at the address listed on the schedule. For afternoon activities: CHOOSE EUC PRESENTATIONS or the Equity Through Community Design Workshop. 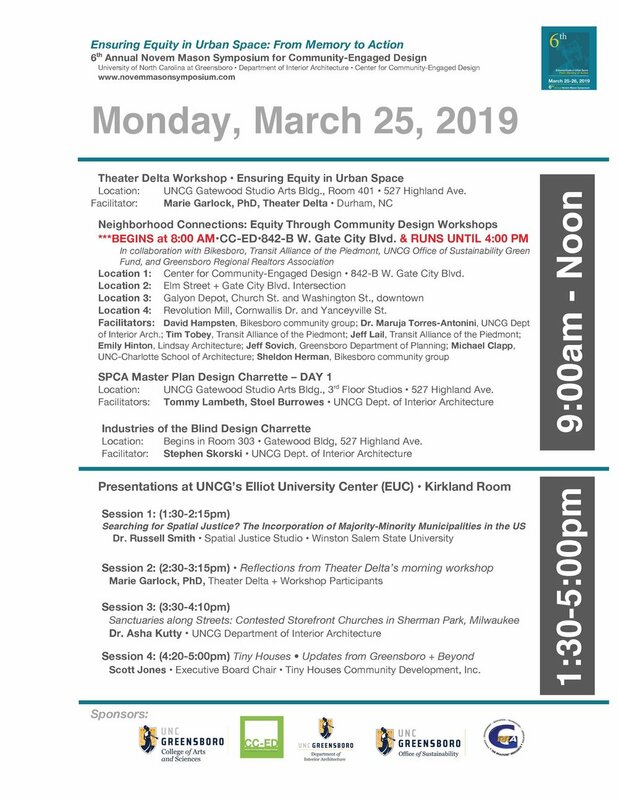 Show up at the Elliott University Center for EUC Presentations or at the CC-ED for the Equity Through Community Design Workshop.